Notes: The Tyldesley Loopline was opened by the London &v North West Railway Company on 1st September 1864, to provide a link between Eccles (located on the famous 1830 Stephenson line between Manchester and Liverpool), and Wigan (located on the main West Coast line which ran from London to Glasgow). In 1870 an additional branch line (the Roe Green Loopline) was opened to Bolton, via Walkden Low Level. A key function of the lines was to support the surrounding collieries in conjunction with the Bridgewater canal, the largest of which was at Mosley Common, one of the biggest pits in the UK at its prime. The Tyldesley Loopline extended from Eccles, through Monton and Worsley to Roe Green, where it turned westwards through Ellenbrook. At Roe Green, the Roe Green Loopline diverted northwards through Walkden to Bolton. 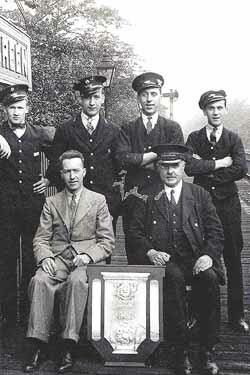 Roe Green itself was the scene of a major rail crash in on 11th February 1926, when several wagons and a brake van broke loose from an engine at Little Hulton, thence proceeded down the gradient through Walkden into the vicinity of Roe Green. Here, an emergency plan was hastily put into operation and the carriages were diverted into a small siding adjacent to Beesley Bridge. They smacked into the bridge, breaking up in the process and depositing their contents far and wide, before bursting into flames. The contents of one wagon being boxes of Daddies Sauce, and the other crates of Wellington boots. traffic included transportation of coal, machinery from David Browns in Leigh and seasonal specials to Blackpool. Stations on the Tyldesley Loopline were located at Monton Green, Worsley, Tyldesley and Leigh. Typical traffic included transportation of coal, machinery from David Browns in Leigh and seasonal specials to Blackpool. 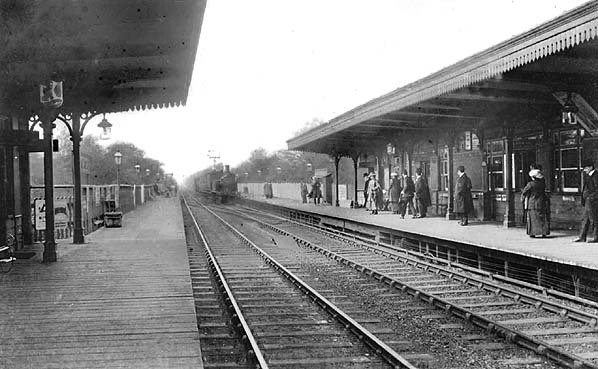 Monton Green station was opened in November 1887, mainly to cater for suburban commuters into Manchester and was located alongside the entrance to Worsley Golf Club. Six cottages were demolished to make way for Worsley Station. The quality of the building reflected the important status the village had achieved, due primarily to its links with the Bridgewater estate. The cutting of the first soil prior to building the station was performed in 1861 by the second Earl of Ellesmere. The lines were managed by several companies before their closure in the late 1960s. The Tyldesley Loopline was finally closed under the 'Beeching Axe' on 5th May 1969, when under the control of British Rail. The Roe Green branch line closed in October 1969. Mosley Common colliery employed over 2,000 by 1919, and became part of the Manchester Collieries company in 1929, before the take over by the National Coal Board in 1947. By the late 1950's, the colliery employed 3,000, and was among the largest and most modern pits in the country. However it was closed in 1968 without having been exhausted, and the site was cleared by 1974. The last ever passenger train to use the Tyldesley Loopline left Monton Green at 10:48am on 5.5.1969, bound for Liverpool. 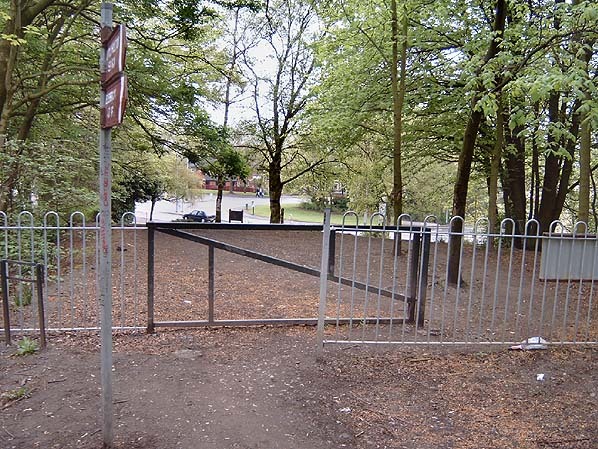 Since the 1980's parts of the line has been progressively reclaimed and now forms an integral part of the Salford network of recreation pathways. More recently, the Greater Manchester Passenger Transport Authority has promoted the concept of reclaiming some 7km of the old line as a bus corridor. The site of Monton Green Station in May 2006. The station was at a higher level above the road.